Traders are always on the lookout for new ways to protect themselves against market volatility and uncertainty. In such circumstances, spread trading is a very common approach to trading that is widely employed in the futures markets. Spread trading, as the name implies is trading or speculating on the price difference in a futures' contract for two separate months. Most commonly a spread is known as the difference between the bid and ask price. A calendar spread is somewhat similar, but it is the difference between the front month and the deferred month contract’s prices. Spread trading is said to offer limited risks because traders often focus on the two contract months within the same asset. 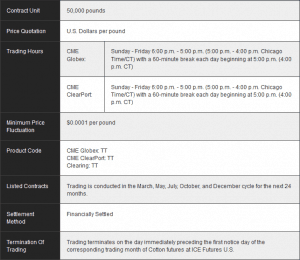 Spread trading has become so popular that CME Group has started to offer calendar spread contracts on options in select markets. Some of the most commonly used futures markets where spread trading is employed are agricultural markets which include corn, wheat, soybeans. The reason why the agricultural markets form the most popular assets is because of the seasonality in the grains or agricultural markets. The chart below shows the seasonality in the soybean markets. 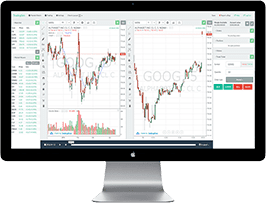 Because these markets typically go through the cycle of planting and harvesting, calendar spreads offers traders a great way to exploit the seasonality in the agriculture and grains markets. For example you could trade the soybeans July – November contracts simultaneously (buying one and selling the other) which is known as the calendar spread trade. Other ways to trade the soybean contracts includes independently selling the July contracts when it is the front month contract and buying the November contracts when they become the front month contracts. Spread trading in futures is a trading strategy that involves simultaneous buying of a particular contract and selling another related contract. Although pairs trading and spread trading are used interchangeably, there are some subtle differences. Pairs trading, is also referred to as intra-commodity spread trading. With pairs trading, a long and a short position can be held in two contracts from two completely different markets. For example trading a July contract for Oil and a May contract for Gold futures. Spread trading on the other hand is related to contracts within the same asset or the markets. 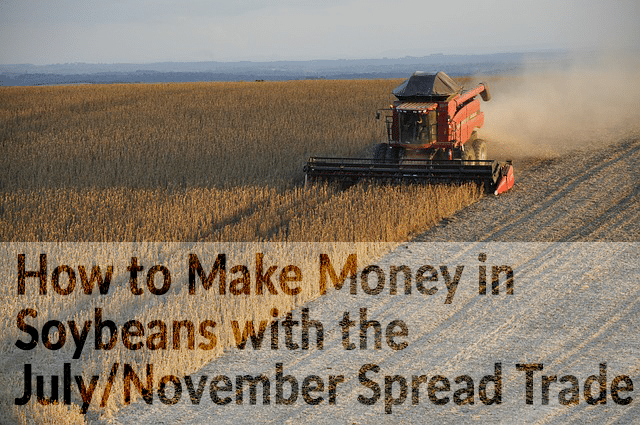 In the context of this article, an example of spread trading can be the July and the November spread contract months for the soybean futures market. Spread trading or calendar spread trading is also known as inter-commodity spread trading. With spread trading, the pairs trading is within the confines of the market, so a typical spread trading example can be a June Crude oil contract a July Crude oil contract. It is also known as the calendar spread. The benefits of spread trading is that the trade's risk is confined to the performance of the market in question and limits the overall risk to just the sector in question. Spread trading is common, not just to the grains markets but also equities where traders can look at buying or selling two different contract months within the ES market (S&P500) or even buying and selling an ES and a YM (S&P500 and Dow Jones) equity contracts. There are two types of spread trades one can employ. The first is the common, intra-commodity spreads or calendar spreads. In this type, futures traders are long or short on a near month and short or long on the deferred month contract. Within the calendar spread, there are other terminologies used. A bull futures spread is where the futures trader buys the near month contract and sells the deferred month contract. The bull futures spread gets its name from the fact that in a bull market, the near month futures contracts typically trade higher than the deferred month contracts. A bear futures spread is where the futures trader buys the deferred month contract and sells the near month contract. The bear futures spread gets its name from the fact that in a bear mark, the near month futures contract traders lower than the deferred month’s contract. Besides the above two market conditions, there are occasional moments where in both the front month and the deferred month futures contracts tend to move in the same direction. This happens during market sell-offs or when investors panic. A calendar spread trading is often preferred because it allows systemic risks. For starters, if you are long on the nearest month Crude oil futures contract and short on the deferred month crude oil futures contracts, in effect, the trade is dependent on the crude oil rather than the U.S. dollar. Another way to hedge the futures markets is via the intra-commodity spread. In this approach, traders focus on the spreads between two different markets. For example, under the intra-commodity spread trading, one can trade a July contract for Corn and a November contract for Crude oil. Typical examples of intra-commodity spreads are wheat and corn futures, which is a well known spread in the agricultural futures markets, or gold and crude oil futures. When trading calendar spreads, it is important to pick the right contract months. Thus, a soybean futures calendar spread trade for July/November simply refers to the old crop and new crop trade. In technical terms, the July/November Soybeans trade is referred to as bear spread as it involves going short on the front month contract and being long on the deferred month (November) contracts. Calendar spread futures are unique due to the fact that instead of having to speculate on the price of the futures contract, with the spread trade, the traders speculate on the relationship between the near and longer term futures contracts. With a calendar spread strategy, traders can profit not just when prices are rising and falling but in many different ways by utilizing the bull and bear futures spreads. This type of strategy offers profits in both rising, falling and sideways markets while also limiting the risks entirely to the asset in question. Below is an example how the July/November soybean calendar spread trade works. 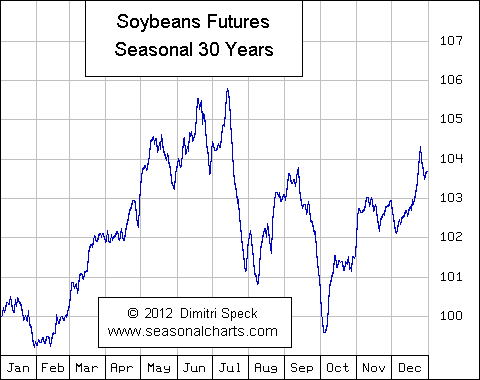 The chart is a rolling contract for the soybean market and indicates the periods from July – November. As you can see in the above example, the soybean rolling contracts shows the seasonal tendency for prices to decline from late June/early July through October, and from October/November, soybeans prices starts to rally again. This pattern gives a template for many different ways to trade the soybean futures. As the above chart shows, the soybean futures calendar spread can be traded either by selling the July soybean contracts (N) and buying the November soybean futures contracts (X). The trades can be done either independently or simultaneously. In July, soybean futures opened the first trading day at 1082’2 and closed at 1075’0. Assuming that traders went short on the July futures contract at 1080’0 and held the short position until late-July, closing out near 960’0, traders would have made a profit of $120 on the short trade. In terms of the dollar value, the July short contract would have made a profit of $120 x $50 = $6000 ($0.25 = $12.50). Likewise, if one looks at the November soybeans futures chart, you can see that price opened at 1028’0 and closed on the first trading day at 1011’4. Assuming that the trade bought the November soybeans contracts at 1020’0 and held it until late-November before expiry, with prices closing at 1050’0, traders would have profited $22. In dollar value, the $22 move would have made a total profit of $1100. In the above example, we simply purchased the July contracts and held it closer to expiry and bought the November futures contract and held it closer to expiry. The trade itself would have had a long gap as the first trade would be closed by end of July and the new trade would be opened in November alone. In terms of the trading strategy itself, in July the trading approach would be to sell the rallies while in November, the trading approach would be to buy the dips. In terms of the stop losses and risk management, traders can simply apply their own approach to trading. Traders can look at trading intraday and selling the July contracts or on buying the November contracts on an intraday basis. 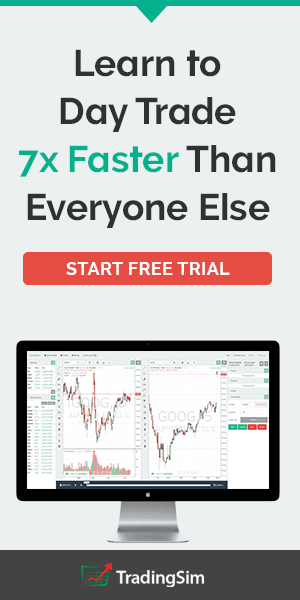 In regards to risk management, traders can simply employ any of their trading strategies or risk management techniques in terms of limiting the losses. However, considering how strong the seasonal play is, in the soybean futures for July and November, traders are at an advantage of trading with the trend. Why does spread trading work? Spread trading works for a number of reasons but the most common reason is the fact that spread trading is based on mean reversion. Spread trading is all about trading the price relationships between two futures contracts. Typically, the spread remains within a band and when the spread moves into the extremes (upper or lower) band, prices of both the futures contracts tend to snap back to the mean price. Besides seasonality, other factors that work in favor of spread trading is that it allows traders to hedge and to reduce exposure as a result. With spread trading you can go long or short on the two contracts which removes the risk of the base currency (since most of the futures contracts are priced in U.S. dollars). While spread trading might be lucrative in some ways, traders should bear in mind the different margin requirements for spread trading. Therefore, calendar spreads trading or for that matter any type of trading is ideal not to be used unless the trade is well capitalized. The picture below shows the CME Group’s official maintenance margin requirements for different types calendar spread for the Soybean markets. Traders should also ensure that they pick the right calendar months in the futures contracts. Failure to do so could often result in bigger than usual losses on the calendar spread traders. Each futures asset behaves differently in the particular contract month and this is something that futures traders need to bear in mind. In other words, the seasonality of the contract months is something that needs to be accounted for when choosing the calendar contract months to trade. One of the most important aspects to bear in mind with spread trading is that for most retail futures traders, the retail brokerage is very likely to close out the futures position when a contract moves closer to the last trading day before the contract expires. Thus, in this context, traders cannot expect to hold on to the contracts for longer (example: holding the July contracts until November). 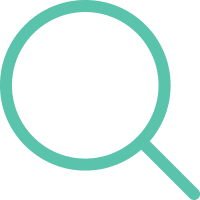 Traders should also bear in mind the fact that not all futures brokers allows direct spread contracts and should therefore check with their brokers beforehand. 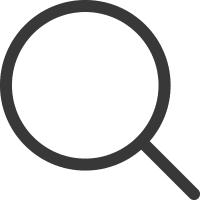 For traders who prefer to open simultaneous positions in July and November, this is again broker specific as due to lower volumes on the deferred month contracts, they may not be available for trading immediately. An alternative, as noted above is instead for traders to close out the July contract and re-open a new contract for August, followed by September contracts and going short on these contracts, while doing the same on the November contracts. The main difference here is of course, it wouldn’t technically become a calendar spread trade as your exposure is only on one contract month and not two. In conclusion, calendar spread futures are a lucrative way for traders to take advantage of the seasonality in the soybeans and grains or agricultural markets on the whole. There are different approaches to trading the calendar spread futures contracts, but the simplest strategy or approach is to stick with the seasonality play of selling the July contracts and buying the November soybeans futures contracts.